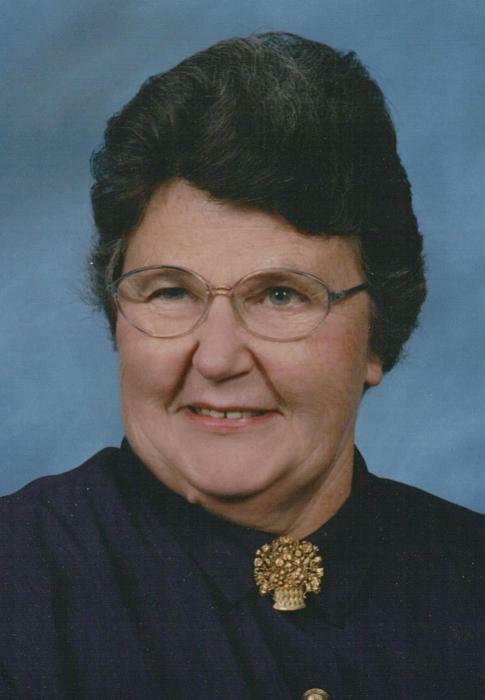 Anna Lou Lutes Myers, 86, of Fort Thomas, formerly of Florence and Lexington, Kentucky, passed away Monday, November 19, 2018, at Brookdale at Kenwood, Ohio. She was born on May 29, 1932, to the late Roy and Stella Thompson Lutes. For over 30 years, she was employed by the University of Kentucky as a County Home Economics Agent. She was a member of the First Presbyterian Church in Lexington, Kentucky and a member of multiple organizations connected to her beloved University of Kentucky career. She was predeceased by her husband, Richard D. Myers in 1998. Anna is survived by her daughter, Judy (Doug) Myers Herbst of Fort Thomas, Kentucky; son, John (Holli) Myers of Hebron, Kentucky; sister, Barbara Ransler of Florence, Kentucky; and five grandchildren: Jennifer Ann Sellers, Erica Lee Sellers; Brittany Ann Myers, Evan Dean Myers and Riley John Myers. Visitation is Friday, November 23, 2018, from 9:00 a.m. to 10:00 a.m. at Middendorf-Bullock Funeral Home, 1833 Petersburg Road, Hebron, KY. Funeral Service to follow at 10:00 a.m. at the funeral home. Burial will be private. Memorials, if desired, are suggested to the Stella Thompson Lutes Memorial Endowed Scholarship.